Kathy Grace Baxter, 59, a resident of Cleveland, Tennessee, passed away on Tuesday morning, October 9, 2018, at her home, surrounded by loved ones. 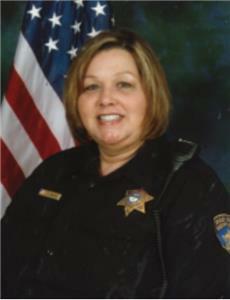 She loved her grandkids and was proud of her service with the Bradley County Sheriff’s Department. She was preceded in death by her father, Johnny Payne. She is survived by her mother, Daina Payne; son, David (Laura) Baxter; daughter, Brittnee (Michael) Lewis; grandchildren, Lainy, Jayvan, Izabella, Emily, Spencer, Cadie; along with three sisters and two brothers. A memorial service for Kathy will be held at the Cleveland Chapel of Companion Funeral Home on Friday, Oct. 12, receiving of friends will be from 6-7 p.m. with the service at 7 p.m.